Ever thought about buying a vintage bike. Of course you have! You know you want to. Hell, who doesn’t? In my perfect world (or mind), a character test, job interview, police interrogation, or court hearing would all involve the same simple question – “do you now, have you ever, or will you at some point in the future own a vintage motorcycle?” “Yes,” you say? Well, you’ve got the job/passed the test/are a free man despite the seemingly insurmountable evidence involving the hookers, jumping castle, and those fluorescent rubber clown masks. But let’s cut to the chase. You’re afraid to own one, aren’t you? AFRAID! Like a big baby, you are! Oh look at you with your cool 80s motorbike and your iPhone and your streaming movies on demand! You are soft, is what you are. Spoilt by too many modern conveniences. What you need is to get back to you roots – to get your hands dirty and to connect, really connect, with what it means to be alive and free. Paul d’Orléans knows exactly what it’s like to be a real man. Hell, he’s got more man in his little finger than most of you have in your entire, pudgy, mobility-scooter-bound bodies. He’s not afraid; he’s got a ton of them. Hundreds! So us big babies here at Pipeburn decided to ask Paul how we could man-the-hell-up and get ourselves a vintage bike without all the pain, breakdowns and wasted time. God, we’re soft. 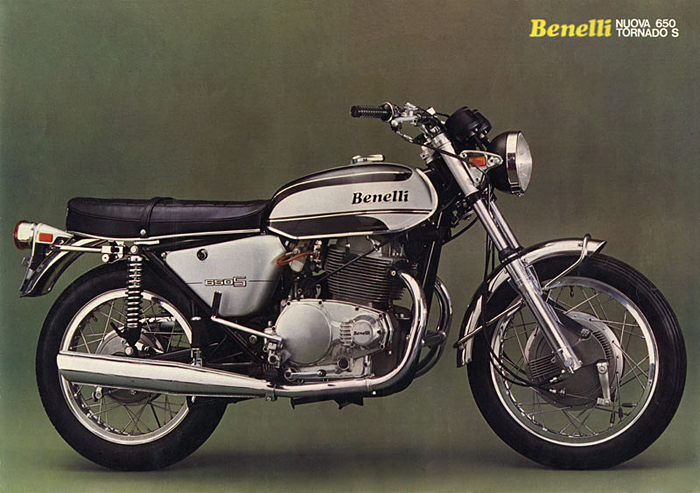 Paul: “There are plenty of totally affordable 1960s bikes which are super reliable with excellent spares availability. I’ll assume you want a middle weight and larger (500cc and up), and give my recommendations. 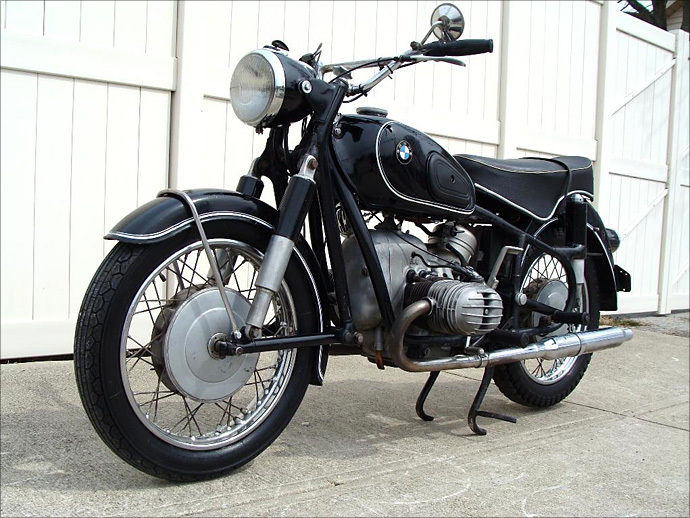 A 1969 BMW R60. “Buy me,” she says. “Buy meeee…”“On the American end, early Sportsters are cheap, and you can get all the parts, plus there is a huge service network for them. They are amenable to tuning and whatever cosmetics you choose. I quite like the East Coast business which uses old Benelli tanks on Sportys, as I’m no fan of the trad tiny HD tank, unless you’ve got an XLR or KHK… but then you’ve entered into an expensive world of badass. In the British scene, you’re going to have more hands-on time, as they were in fact designed to be maintained by the owner, and can be infinitely rebuilt fairly easily, with a good manual and some tools. 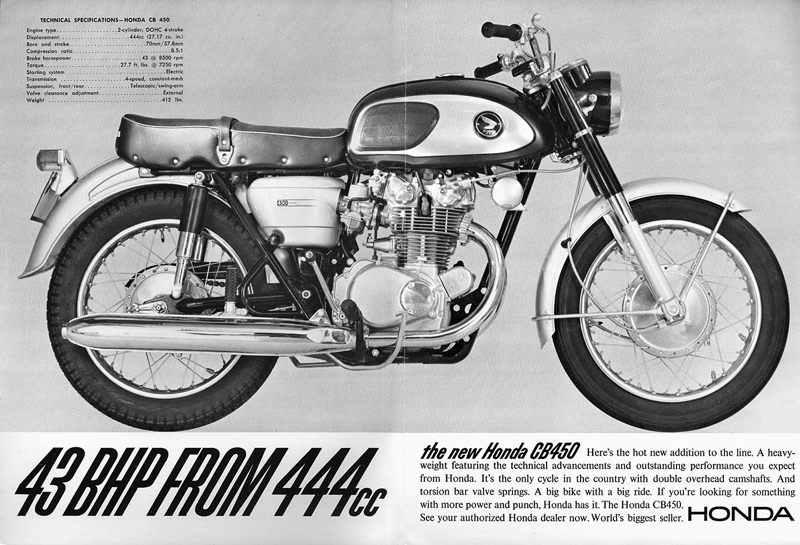 Big vertical twins are still pretty cheap, Triumphs and BSA, and can be very reliable if done properly. Bad electrics and crappy rebuilds are common though, and I understand the Fear which keeps kids away from Brit stuff. They reward the work put into them. Among all Brit stuff, the singles are really simple to keep going and are really fun. My favorites are Velocettes; the Venom engine is a rock (100mph for 24hrs – nobody else did it), and they are smooth and handle beautifully. Total spares availability, huge owner’s clubs, but you’ll have to learn a bit about peculiarities like the clutch, and live with the oil leaks. 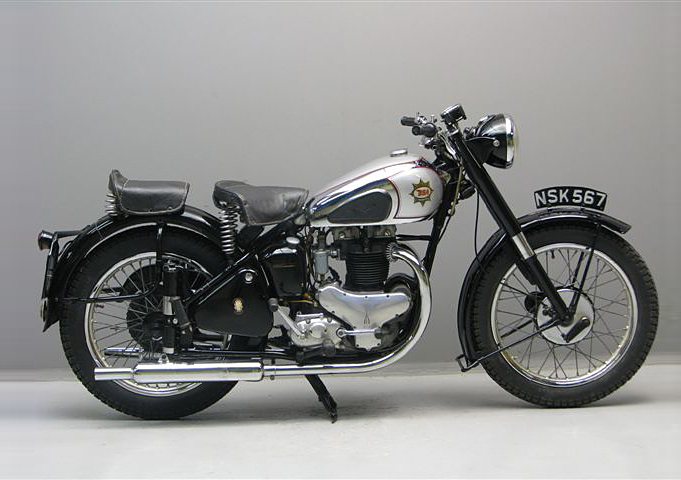 Pipeburn: And what would be your No.1 English bike from the 50s that would fit the bill? 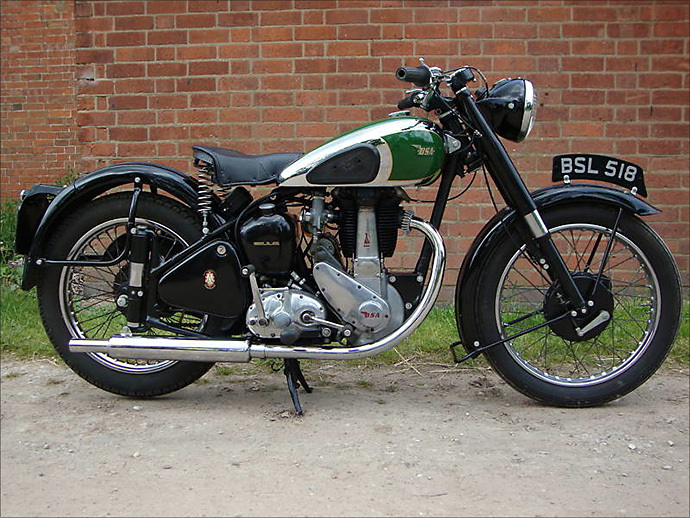 A ’49 BSA A7 with a 500cc twin. Rule Britannia!